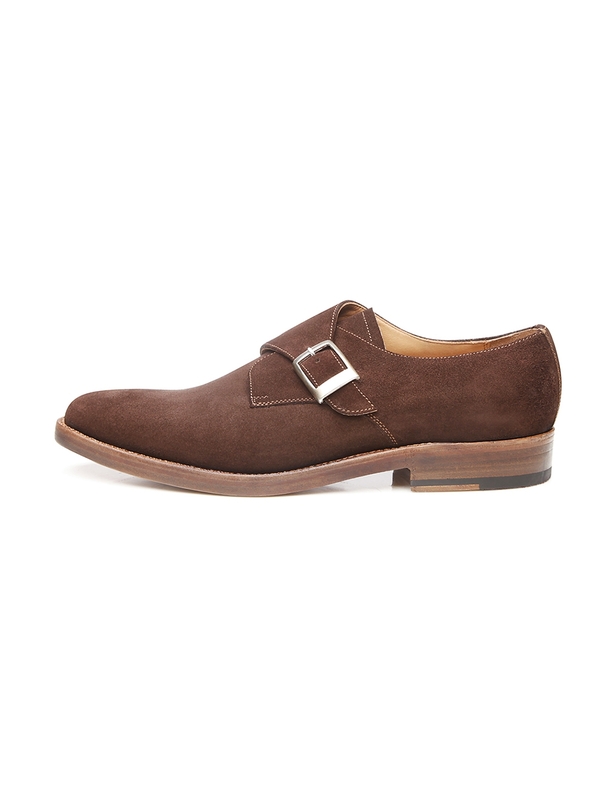 Monk Strap The straps on this special low-rise shoe feature either one or two buckles on the side, lending this model a unique nonchalance. 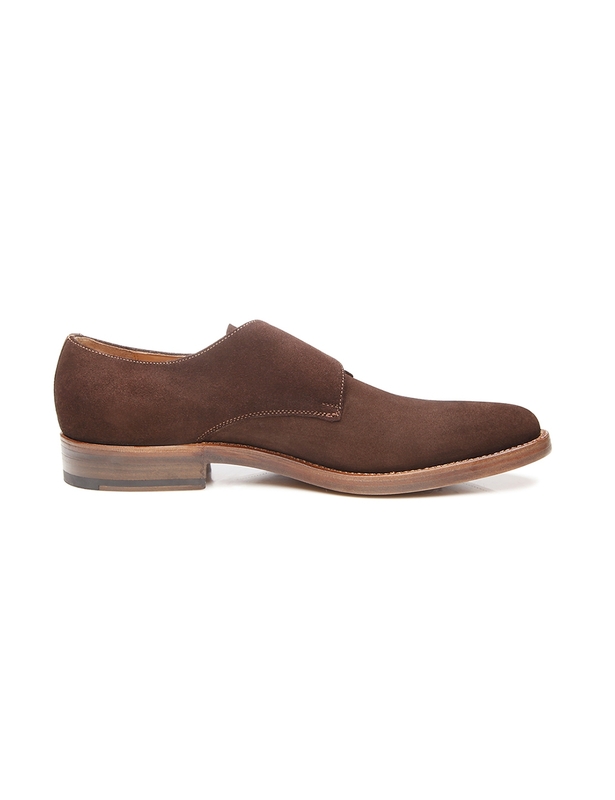 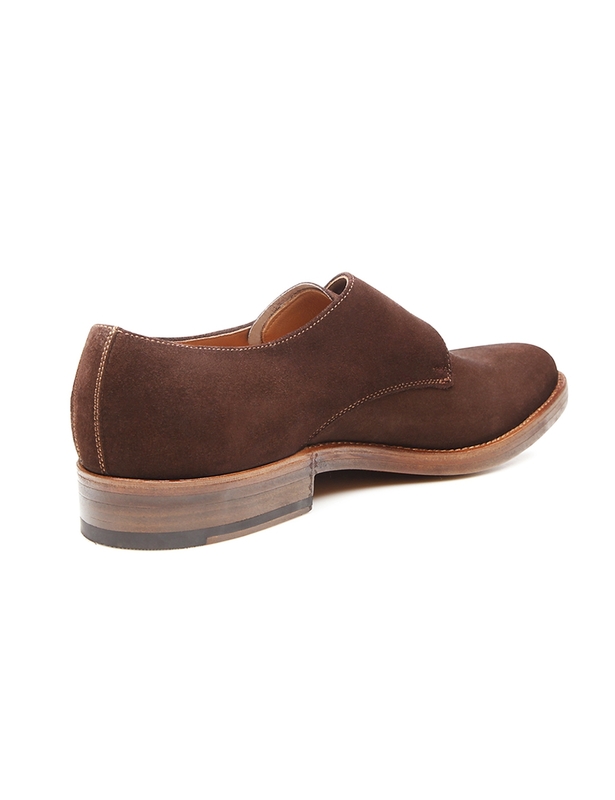 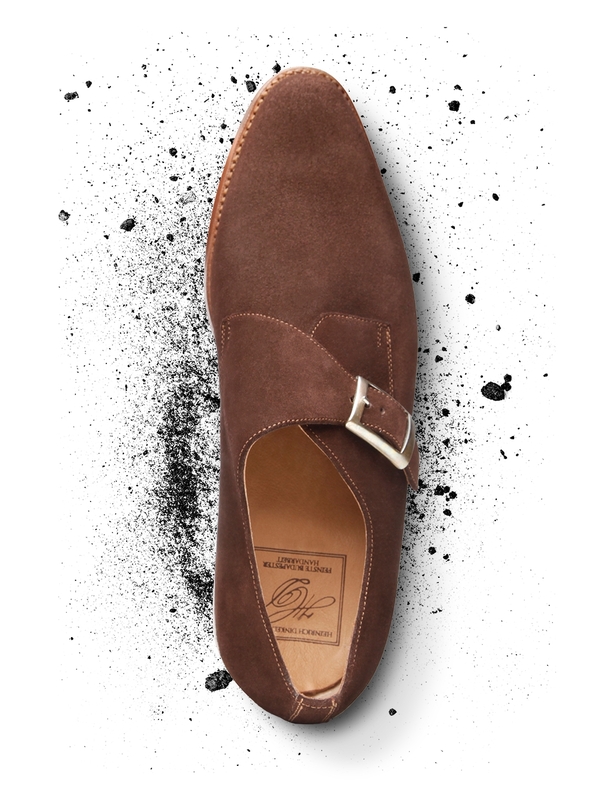 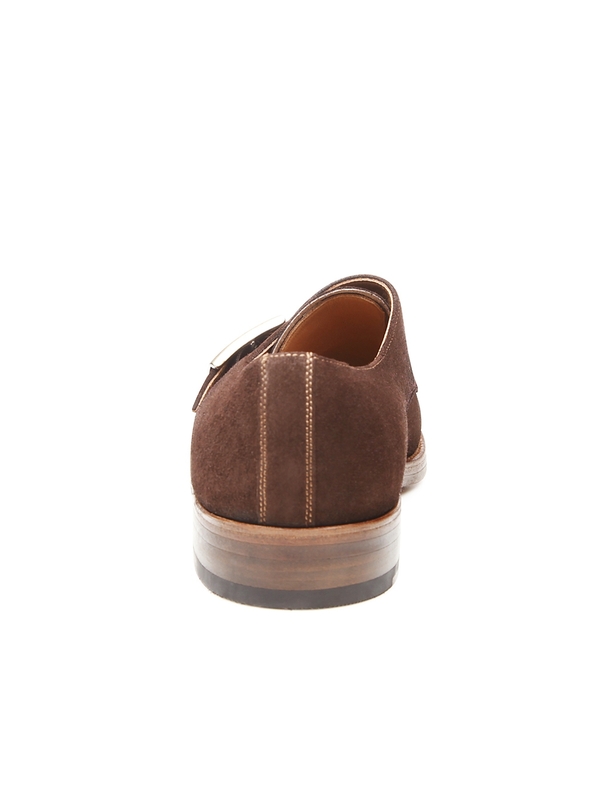 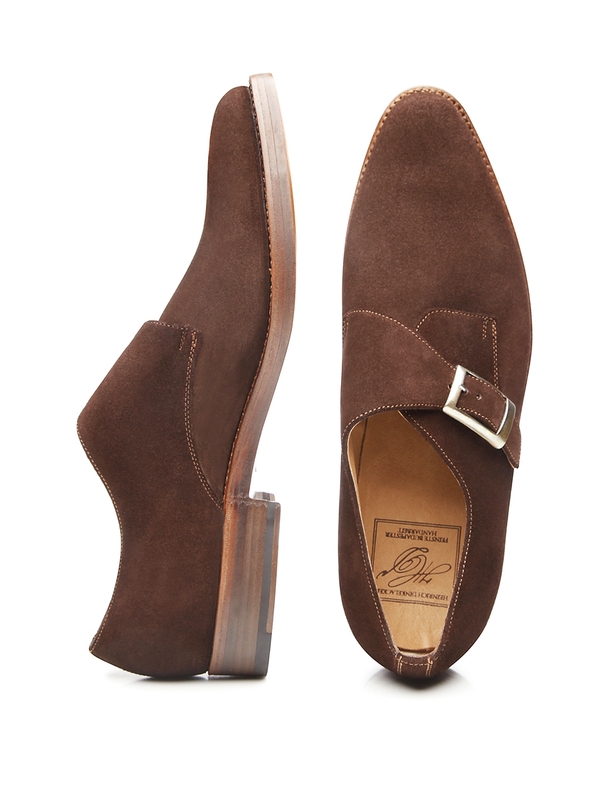 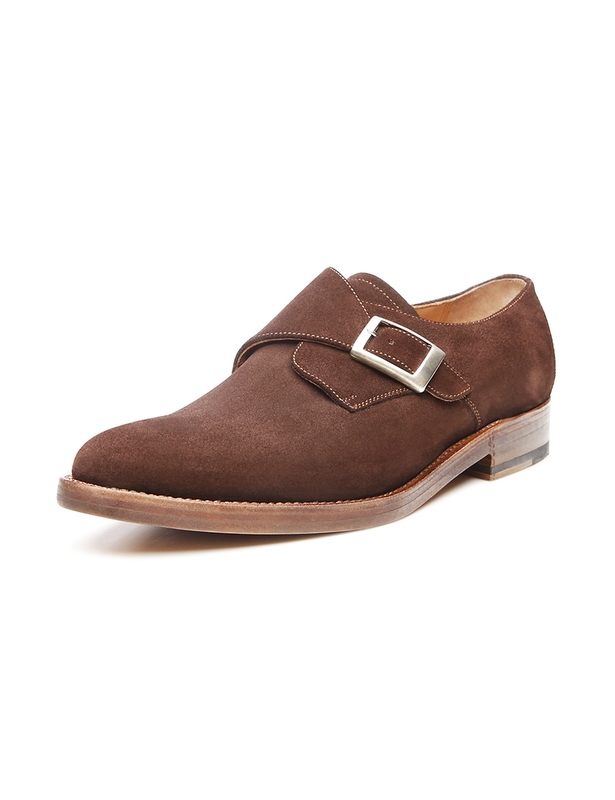 Monk strap for men in supple calf velours handcrafted in Budapest. 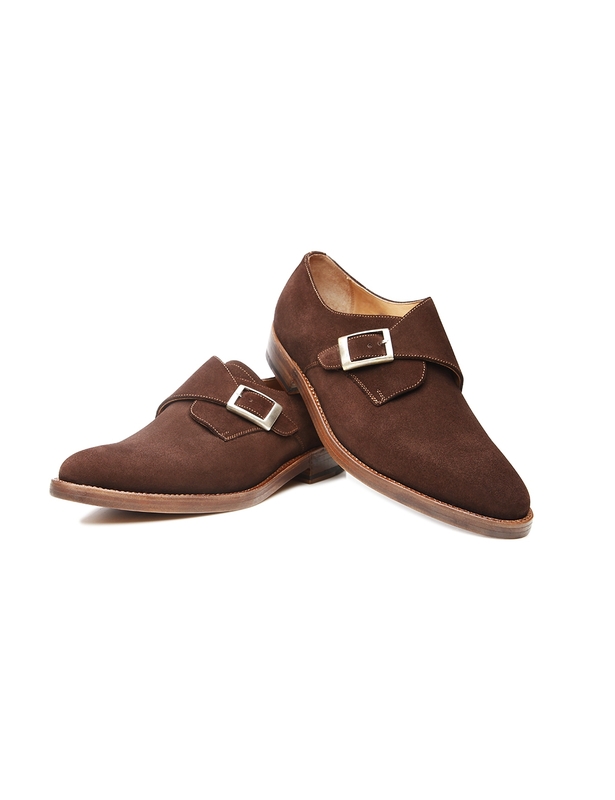 The characteristic closure buckle is both practical and decorative. 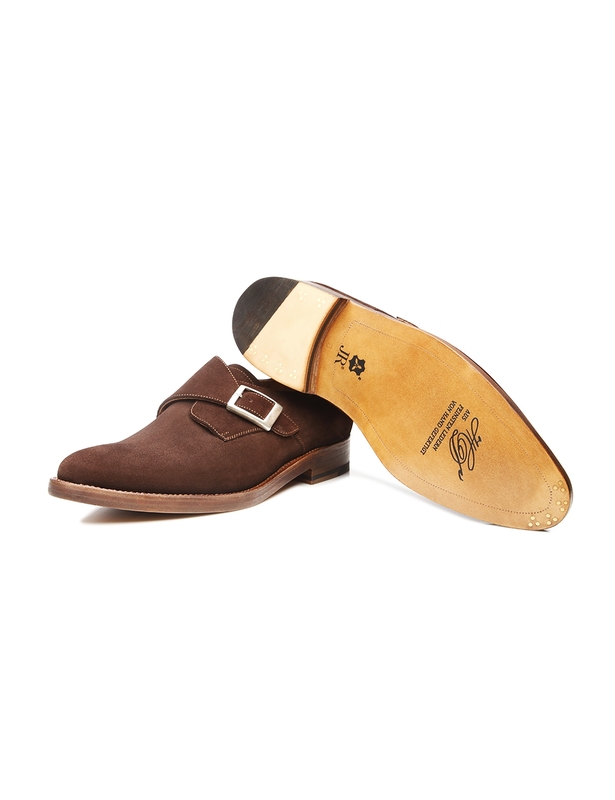 Crafted on a narrow last with an elegant, highly tapered shape, this monk strap is perfect for narrow to average-width feet. 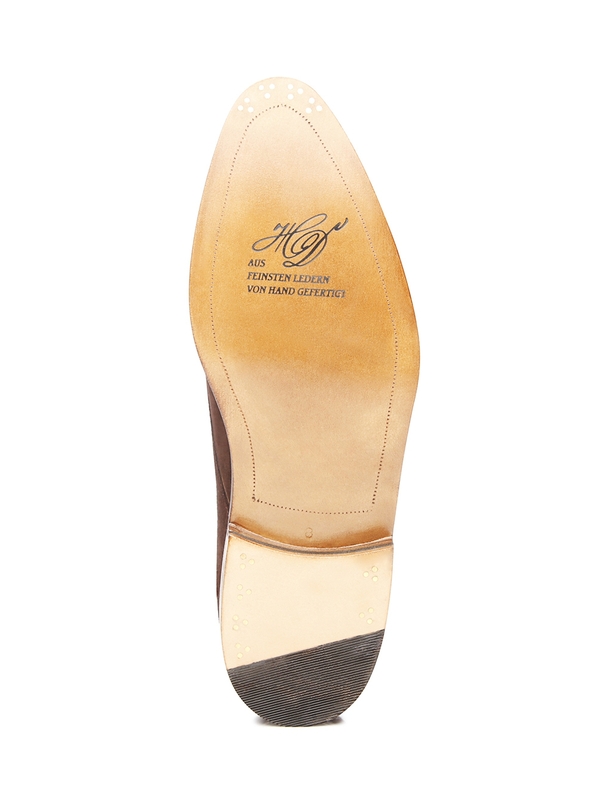 The flexible double sole includes an outsole by Rendenbach, attached with a classic set of three nails.